Superdry men’s Classic Superstate short sleeve polo shirt. 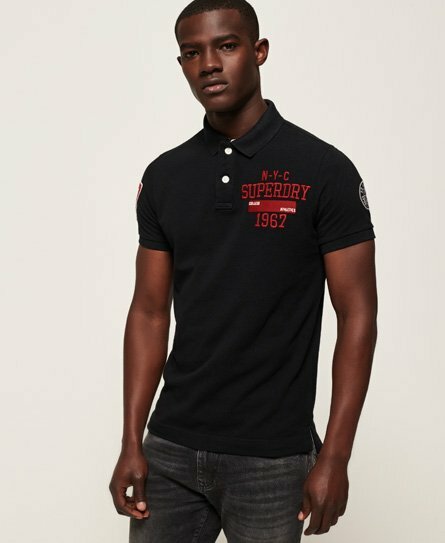 This classically designed short sleeve polo shirt features an applique Superdry logo on the chest, an applique number logo on the sleeve and split side seams. The Classic Superstate polo shirt is finished with an applique logo badge on the sleeve.